Some great news to report for our readers. As you may know the processing of I-601 and I-212 waivers may take a very long time, often resulting is the separation of families. If you are not familiar with Waivers, some foreign nationals may be deemed inadmissible under INA 212(a), which covers bases including unlawful presence, criminal violations, and immigration fraud or misrepresentation. If a foreign national is considered inadmissible, then he or she must obtain a waiver of inadmissibility if they are seeking lawful permanent resident status. Generally, in order to successfully obtain an I-601 waiver, you must prove “extreme hardship” to a qualifying relative is moved to the applicant’s country, and that the qualifying relative can’t remain in the US without the applicant. These hardships are also weighed against “mitigating and aggravating factors.” Currently waiver cases are filed directly with specific US posts around the world resulting in different processing times depending on where the case is filed. Beginning June 4, 2012, individuals abroad who have applied for certain visas and have been found ineligible by a U.S. Consular Officer, will be able to mail requests to waive certain grounds of inadmissibility directly to a U.S. Citizenship and Immigration Services (USCIS) Lockbox facility. This change affects where individuals abroad, who have been found inadmissible for an immigrant visa or a nonimmigrant K or V visa, must send their waiver applications. Currently, applicants experience processing times from one-month to more than a year depending on their filing location. This centralization will provide customers with faster and more efficient application processing and consistent adjudication. It is part of a broader agency effort to transition to domestic filing and adjudication; it does not reflect a change in policy or the standards by which the applications are adjudicated. Individuals filing waiver applications with a USCIS Lockbox will now be able to track the status of their case online. Applicants who mail their waiver request forms should use the address provided in the revised form instructions on the USCIS website. Applicants who wish to receive an email or text message when USCIS has received their waiver request may attach Form G-1145, E-Notification of Application/Petition Acceptance, to their application. How About Cases Pending in Ciudad Juarez? 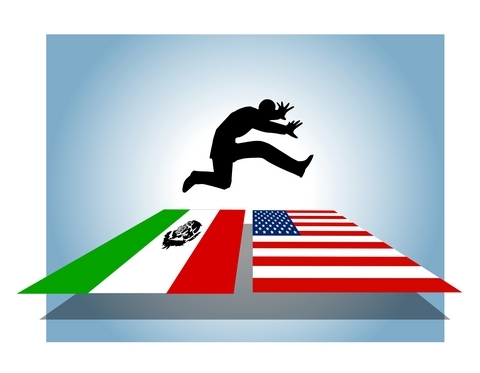 During a limited six-month transition period, immigrant visa waiver applicants in Ciudad Juarez, Mexico, will have the option to either mail their waiver applications to the USCIS Lockbox in the United States or file in-person at the USCIS office in Ciudad Juarez. USCIS is aware of the pending caseload for applicants in Ciudad Juarez and is taking proactive steps to work through these cases. USCIS will significantly increase the number of officers assigned to adjudicate the residual cases filed before June 4, and those filed during the interim six-month transition period. USCIS has already begun to test this process and has transferred applications from Ciudad Juarez to other USCIS offices in the United States. Please note that this change is separate and distinct from the provisional waiver proposal published in the Federal Register on Mar. 30, 2012.